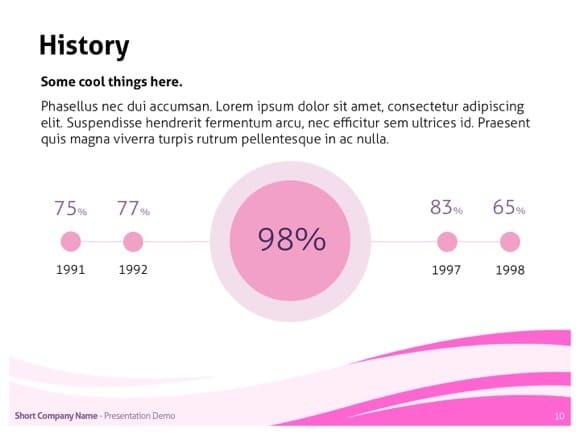 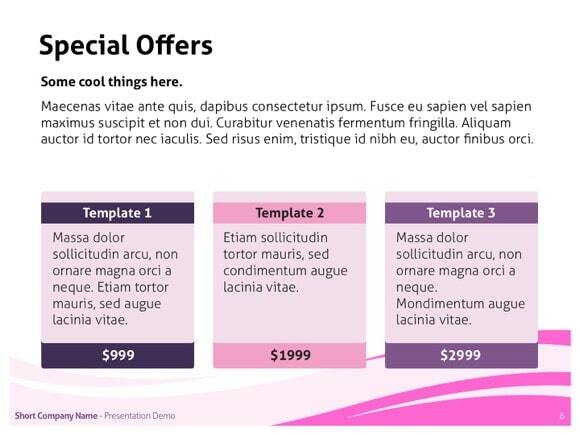 Purple Pink PowerPoint template - FREE! 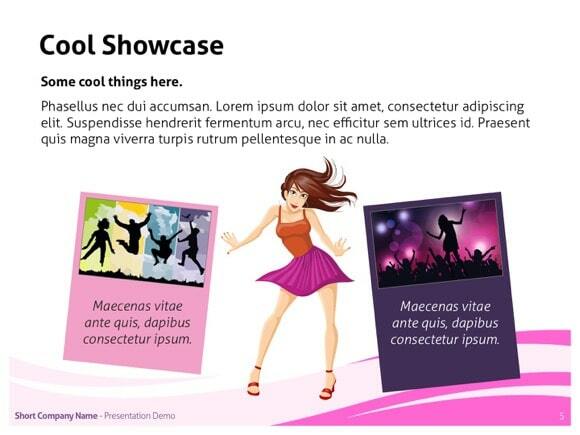 If you are looking for purple pink PowerPoint template, this creative theme is an excellent choice for you! 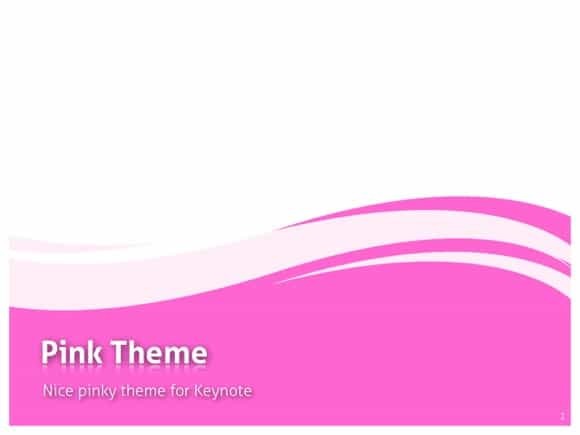 The pink color is the most romantic and feminine color, and it has a tranquilizing effect. 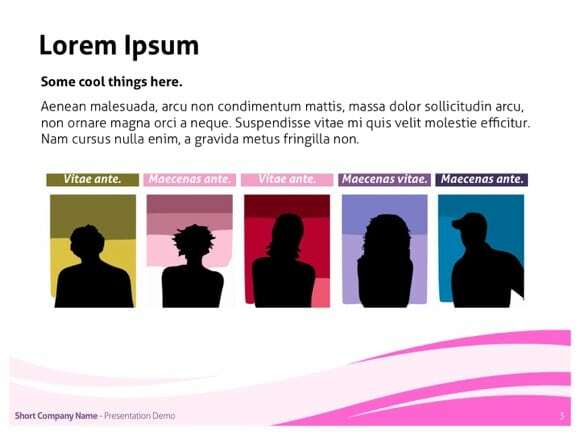 With this original PowerPoint slide, you can present any hot and stylish topic. 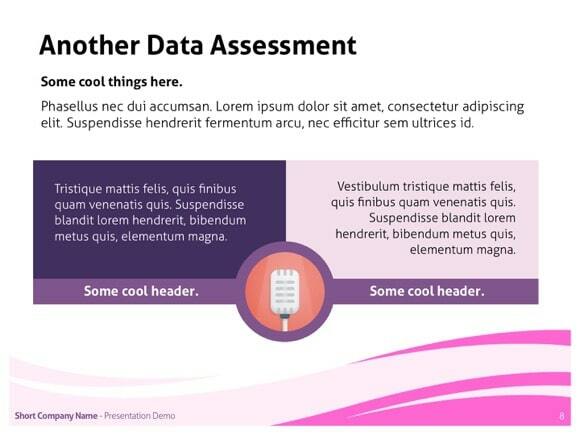 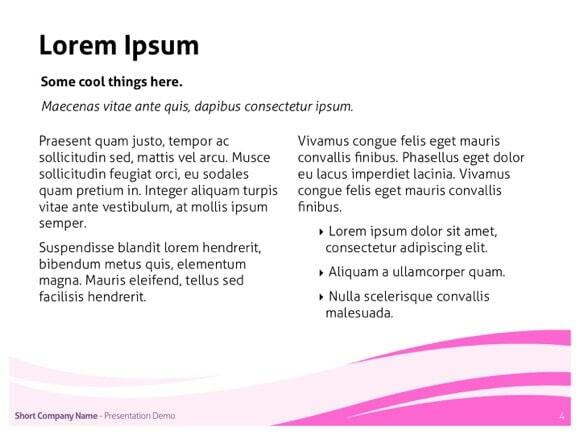 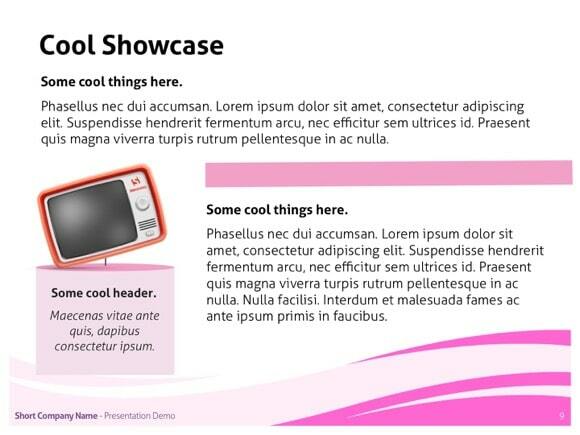 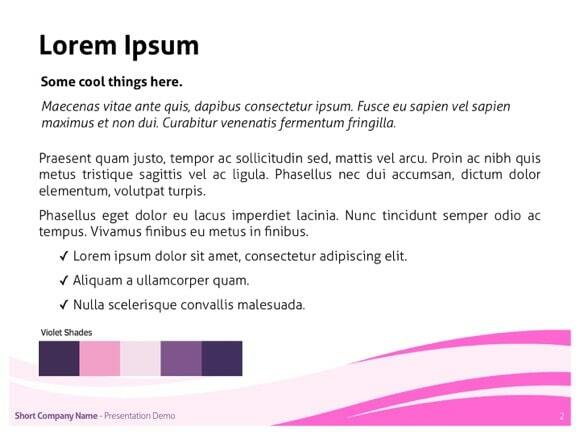 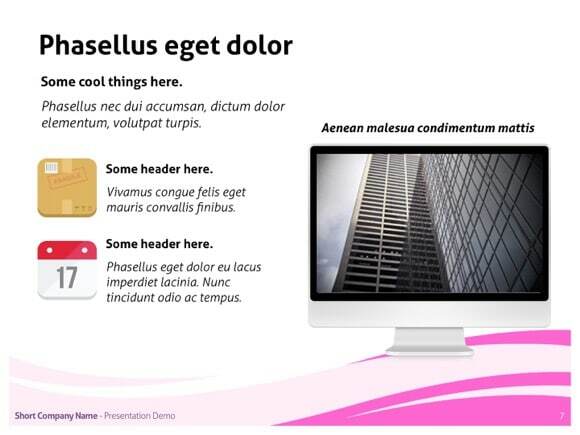 Just download this free pink & purple theme and use it for any PowerPoint presentation.